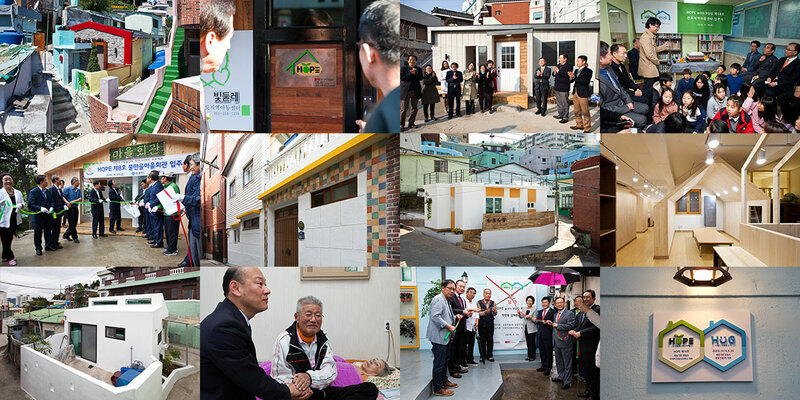 HOPE (House of People’s Empowerment) stands for houses that boost strength and courage to people. carried out by local organizations and individual volunteers. HOPE (House of People’s Empowerment) stands for houses that boost strength and courage to people. The project is a privately initiated city housing and environment improvement project which is supervised jointly by SIACF and HUG (Housing & Urban Guarantee Corporation) and carried out by local organizations and individual volunteers.